The host couple were very welcoming/generous - George kindly picked me from the airport and Katerina was on hand with tips about where to eat in town and which beaches to prioritise visiting. The studio is well equipped and located in a more residential/quiet part of Skiathos town, a short stroll to the main shopping street. The host, George was the most welcoming and helpful. We were picked up at the ferry by car and he was kind enough to bring us our luggage directly at the port upon departure. When we arrived at the apartment we were given some greek sweets as a welcome gift. The apartment itself is rather small but very well designed and organised so that you never lack space. It has everything you need for cooking. 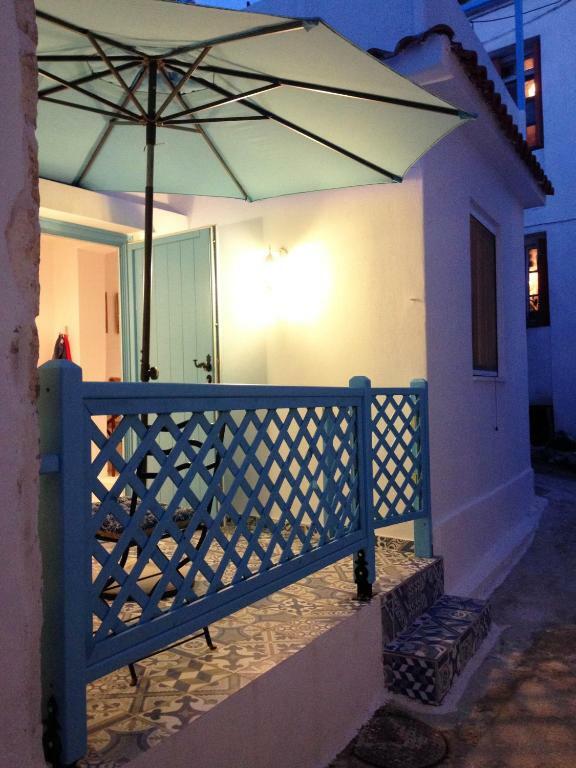 The apartment is beautifully decorated, it's full of charm and character. 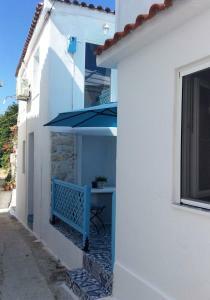 It is located a 5 min walk from the port and really close to the main street that is full of restaurants, cafes and bars. There is also a supermarket nearby. Some beaches are reachable by foot but the nicer ones can easily be reached by bus. 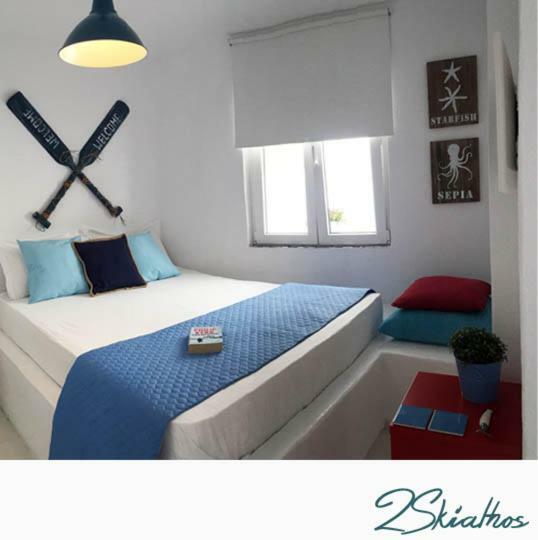 The kindess of the hosts, the beautiful apartment and its location really made for a perfect stay in Skiathos, we would not hesitate to book again if we come back to Skiathos. Thank you George for everything ! Perfect location, very friendly perfectly renovated just a really nice place. Our hosts collected us from the airport which was amazing because trying to find it would have been a challenge. 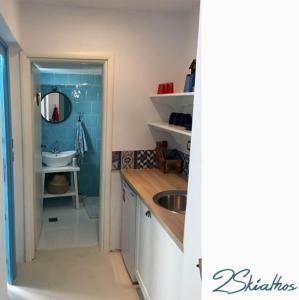 The flat was to die for and perfectly located in the heart of the town. Accoglienza superlativa, arredamento curato, posizione strategica. Abbiamo avuto la fortuna di subire il temibile medicane Zorbas... questo ha reso Skiathos “la migliore destinazione invernale dopo le Alpi” (cit.) Nonostante tutto siamo stati benissimo e supercoccolati da George e Katerina. Assolutamente consigliato! Noi ci torneremo. καταπληκτική διακόσμηση , πλήρως εξοπλισμένο σπίτι ,, πολύ καθαρό , σε ήσυχη γειτονιά μόλις 2 λεπτά από το κέντρο . οι ιδιοκτήτες ήταν εξυπηρετικότατοι , μας παρέλαβαν από το λιμάνι , μας έδωσαν δωράκι υποδοχής και μας εξήγησαν που θα βρούμε τις καλύτερες παραλίες αλλά και τα καλύτερα εστιατόρια. θα επιστρέψω την επόμενη χρονιά για περισσότερες ημέρες. l'accueil très sympathique du loueur ,les renseignements donnés et proximité avec le centre du village ,la décoration intérieure . L’appartamento è molto bello,curato nei dettagli e confortevole! Consigliato soprattutto per la posizione centrale! I proprietari sono molto gentili e disponibili! Gestori disponibilissimi. Dal pick up in aeroporto ai piccoli cadeau di ogni giorno... tutto oltre ogni aspettativa! Bravissimi! 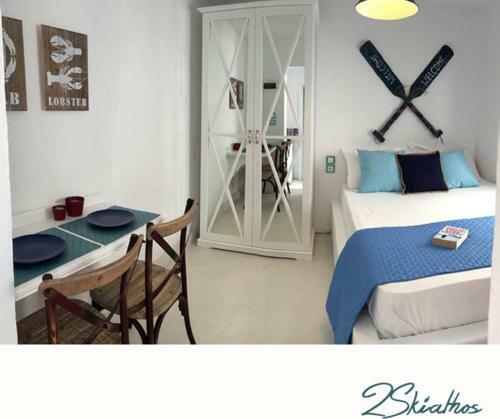 Lock in a great price for 2 Skiathos – rated 9.3 by recent guests! 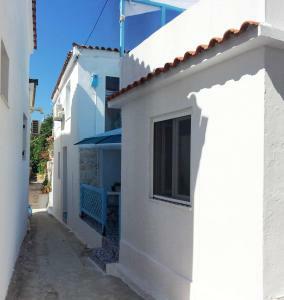 2 Skiathos features a terrace and is located in Skiathos, within just an 8-minute walk of Skiathos Port and half a mile of Papadiamantis' House. Guests have access to free WiFi. 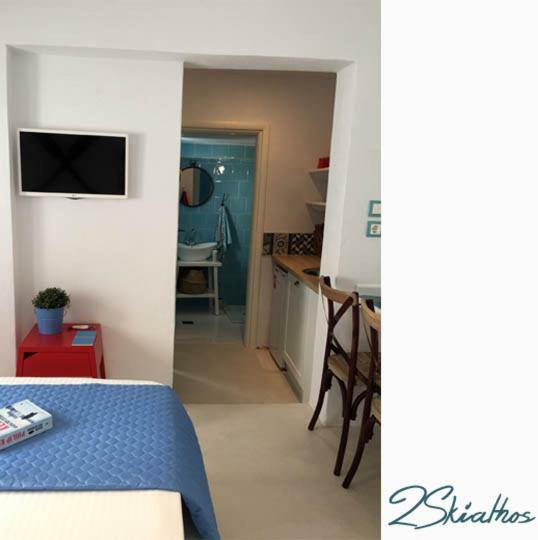 Offering 1 bedroom and 1 bathroom with a shower, this apartment has a flat-screen TV. The air-conditioned property is equipped with a kitchenette. 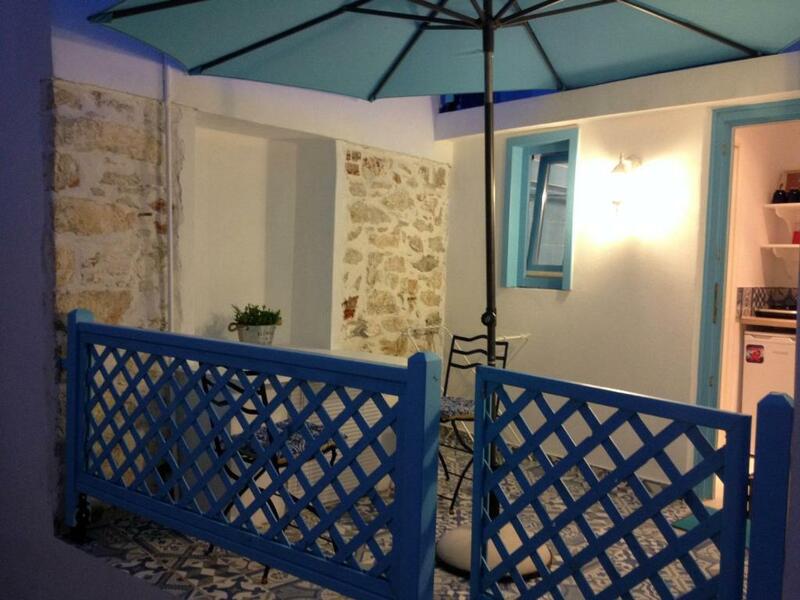 Lalaria Beach is 5 miles from the apartment, while Skiathos Castle is 1.5 miles from the property. Skiathos Airport is 1.3 miles away. When would you like to stay at 2 Skiathos? 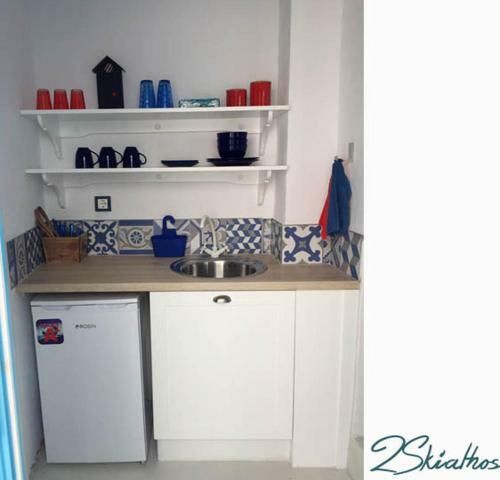 This apartment has air conditioning, flat-screen TV and kitchenware. 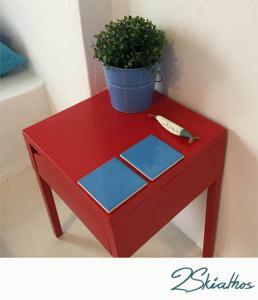 House Rules 2 Skiathos takes special requests – add in the next step! Lots of stray cats nearby! Only downside is no wifi but they have only just finished renovations so I'm sure it's still to come.